This Edward Mirell ring has an alluring black polish finish on a traditional domed style ring. It is made of titanium which allows it to be light but still durable and scratch resistant. The 16 mm width allows for greater detail within the anodized pink design giving this ring a marvelous look. 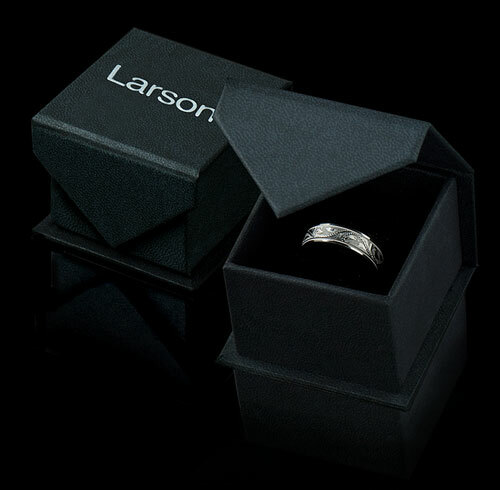 Larson Jewelers is proud to carry Edward Mirell jewelry, which is designed and manufactured in the USA. Edward Mirell is known for combining the latest technology and cutting edge design to create truly unique contemporary jewelry for men and women. 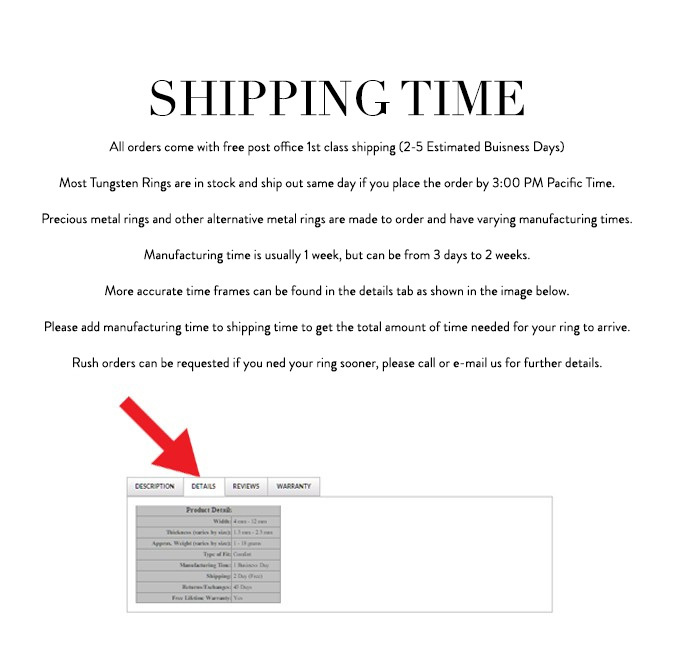 All rings come with a certificate of authenticity and manufacturer's warranty that covers size exchanges for life, and repair or replacement in case of defective materials or workmanship. Note: There is a fee charged by Edward Mirell, not us, for all warranty work to cover processing, shipping, and handling of all warranty work.